Daughter of Lisa Marie Presley and Danny Keough, who had supporting roles in the 2010 film The Runaways and the 2012 film Magic Mike. 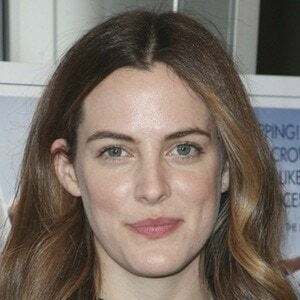 She had her first starring film role in the 2011 independent film The Good Doctor with Orlando Bloom, then went on to play the character Capable in the 2015 film Mad Max: Fury Road. She did runway modeling for Dolce & Gabbana as a teenager. She is Michael Jackson's and Nicolas Cage's step daughter. She was engaged to English actor Alex Pettyfer in 2012. She then married Ben Smith-Petersen in 2015. She is the granddaughter of rock and roll legend Elvis Presley.